Goodsubmitted by Octovia S. - May 31, 2017 |Recommended: YesIt's a very nice community to live in, the grounds are always maintained, it's kid friendly and the apartments are a decent size.  I Love Camelot at Woodfield submitted by Nicole F. - Jan 31, 2017 |Recommended: YesIt's great living here. Deborah was awesome to work with in getting my apartment, very proffesional superb level of service. Dennis in maintenance is great. They have taken care of any requests or questions I've had promptly. I always tell people about living here highly recommend it. One of the best places I ever livedsubmitted by Luis P. - Jul 21, 2016 |Recommended: YesEasy access from 46, quiet area, safe community, quality apartments and good maintenance. The only thing I do is pick my remote at home, everything is been taken care. Residentsubmitted by Diane C. - Jun 14, 2014 |Recommended: Yesbeautiful apartment and nice area. Would reccommend to a friend. Nice place submitted by Toshonda I. - Sep 02, 2013 |Recommended: YesIt a nice place to live. Its a nice building to live in.submitted by Toshonda I. - Aug 02, 2013 |Recommended: YesIm happy living where I live. The complex is located in a nice and quiet area. The neighborhood is clean and kept up well. Only complaint would be the noise between apartments and from outside. Otherwise very good.submitted by Paula H. - Jan 28, 2013 |Recommended: YesI am quite comfortable here as a disabled individual because you have your own washer and dryer hook-ups it gives me the capabilities to get around in my motorized chair. I can maintain my independence, which is very important at the age of 58. Safe clean environment to live.submitted by Tracy S. - Oct 01, 2012 |Recommended: YesIt's more like a condo than an apt. well maintained and roomy.